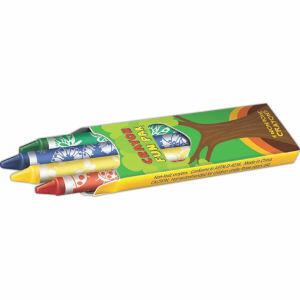 Crayola may help you color the world, but only at IASpromotes.com can you create your own colorful branded promotional crayons. 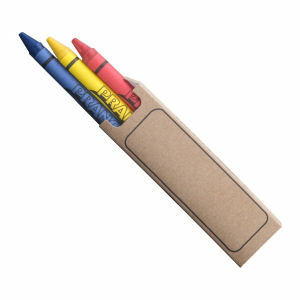 Crayons are fun for kids of all ages, including adults, and are a great alternative to messy markers. 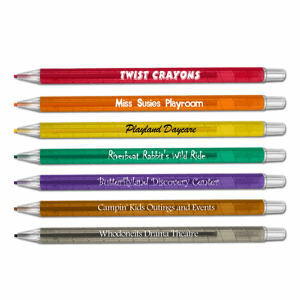 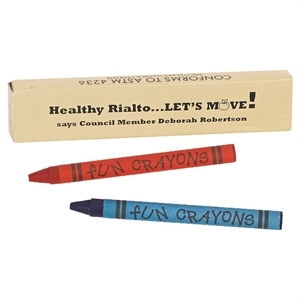 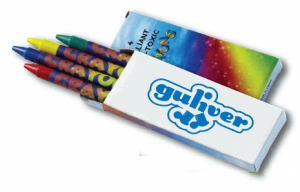 Families will especially love the custom printed promotional crayons you give away as part of any event or trade show. 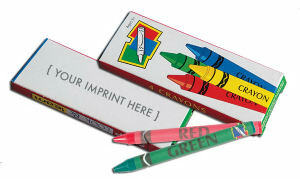 IASpromotes.com offers a great selection of custom crayon packages that you can personalize, and at fantastic prices. 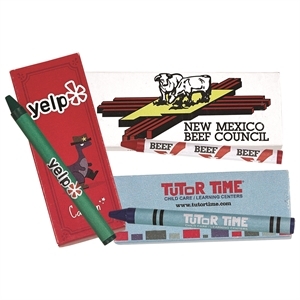 It's easy to imprint your company name and logo with our online tools. 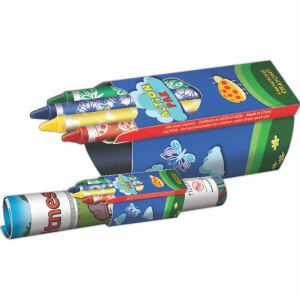 Order today so your target marketing audiences can start drawing masterpieces.